NOTE: Only 100 tickets will be sold. Enjoy a round of golf for you and two of your friends and be accompanied by John Capers, the Merion Golf Club’s Historian/Archivist. Play a round on the historic East Course taking in all the wonders that is Merion! Enjoy a lunch on the world famous upper terrace. Then finish off the day with a guided tour of the clubhouse’s many room displays and its treasured Archives. A fortunate member since birth, he grew up under the watchful teaching eye of Fred Austin, Son-in-Law of world renowned teacher Ernest Jones. He had a competitive family, headed by his mother, eleven times Merion Club Champion. At twenty-one, a plus two and Captain of a Division One golf team, he finally beat her – she played from the middle tees. Twenty club championships later, Junior, Regular, Senior and Super-Senior, over six decades, his passion has turned to the preservation of Merion’s history and sharing it with members, guests and visitors. The Club’s Archives has digitized over one hundred and fifty thousand documents, half as many pictures and contains over a thousand other items. With the assistance of the Club’s Archives Committee every clubhouse room has turned into a show place to tour and learn the history of Merion. A number of Clubs here and abroad have visited Merion to investigate how their history can be preserved. We call it part of “the Merion experience”. 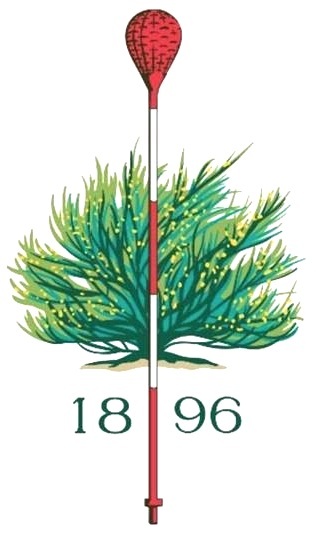 Merion is fortunate to be a part of golf’s history and the membership enjoys sharing the course’s and the clubhouse’s treasures with the world. John Capers has spoken about “how and why to start an archives“ to the City and Club Managers Association, the Club Managers of the City of New York and the Club Managers of Oregon plus various Clubs around America. John Capers has been published, recognized and participated in a number of books, magazines and on the following broadcasts, CNN, Golf Channel, Sky-TV, KYW/Philadelphia, Lou Tilly Out of Bounds, Sports Talk Austin Texas, Chicago Sports among others. Winner receives a 3-some on Merion’s East Course. Green Fees, Caddie Fees and Lunch before / Drinks after are all included. Please NOTE: If any unforeseen circumstance were to arise that would preclude you from enjoying your round at Merion, a monetary prize in the amount of $1,625 (the cost of the day) will be paid to you. The round will be scheduled after July 2, 2019. *To donate another amount, click here.